Snaps into place at any level. No bolts required. The 55G tower can be used guyed, self-supporting or bracketed configurations according to specifications in the ROHN catalog. As a guyed structure, it can rise to a maximum of 400 feet. Self-supporting and bracketed heights depend on loading and are also specified in the ROHN catalog. See Footer Links below. 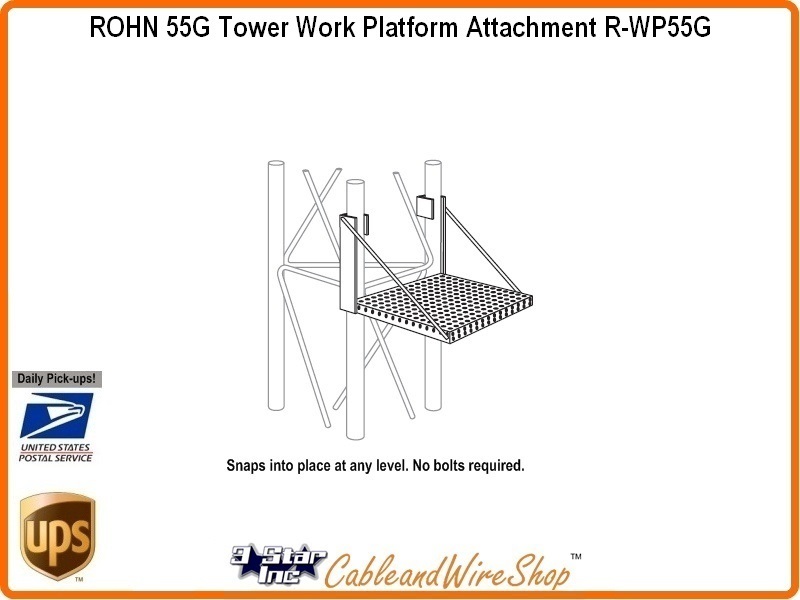 Note: ROHN WP55G Snaps in anywhere on the 55G Tower Section for Bolt-Free Mounting. American Steel. Buy ROHN, Buy American.